Fantástico tópico com sensacional compilação de informações, muito obrigado amigos! Quanto ao livro, comprei meu exemplar diretamente pelo site da Omega , mas o preço aumentou em US$ 50 desde então. É realmente caro, mas vale cada centavo. Bulova had insisted that chronographs chosen by NASA follow the policy of the "buy American" regulations estalished by the Senate. Both Omega and Bulova wished to comply with this, however, as of 1972, Bulova did not manufacture a US made chronograph. In August of 1972, sixteen companies were notified by NASA that the Manned Spacecraft Center (MSC) planned to establish a Qualified Product List (QPL) for possible future procurement of astronaut watches. In order to comply with the 'Buy American' act, Omega had the cases for the Speedmaster manufactured in Michigan by the Starr Watch Case Company. Crystals were shipped to them from Switzerland. Completed cases with crystals were shipped on to the Hamilton Watch Company in Pennsylvania, for inspection and testing. The case and crystals were then shipped to Switzerland where the movements were installed and the entire watch was subjected to final inspection and environmental testing. Omega changed the original Cal. 321 movement to the Cal. 861 in 1968 so it must be assumed that the Cal. 861 was the version tested. The testing process was done in two stages. First, there were several general requirements needed to become "Flight Qualified." If a watch met these criteria, it was then subjected to a series of specific and regorous "space flight environmental tests" to determine final suitability for spaceflight. The general requirements were that the watch be a chronograph, anti-magnetic, waterproof, and shock-resistant. The case must be finished for non-reflective characteristics, and the crystal of the chronograph must be anit-reflective so that the dials could be easily read under light levels ranging from three foot-candles to direct, unfiltered sunlight. Accuracy requiremnets both in the face up and face down positions should be plus or minus 6 seconds in a 24 hour period. The watches were then subjected to the specific environmental tests which included vacuum testing, oxygen atmosphere testing, low temperature, acceleration, random vibration test, electromagnetic induction tests, and a humidity test. The specific test parameters are listed below..
1. Vacuum testing..... The chronograph shall be subjected to a vacuum of 1x10^-6 Torr or better for a total of 72 hours. During the first 10 hours of testing the temperature of the items shall be increased to 160 (+/-10) degrees F. The temperature shall then be returned to 78 (+/-10) degrees F for the remainder of the test. 2. Oxygen Atmosphere/Temperature Test..... The test items shall be placed in atmosphere of 95 +/-5 percent oxygen at a pressure of 5+/-0.1 psia and a temperature of 155 +/-5 degrees F for 72 hours. Gas samples extracted from the chamber area shall be analyzed for organic and CO content per test number 6 of D-NA-0002. 3. Low Temperature..... The test items shall be lowered to 0 +/- 5 degrees F. This temperature shall be maintained for 10 +/-0.5 hours. The test items shall be allowed to return to ambient before functional testing. 4. Acceleration..... The test items shall be subjected to 20's +/- 2 g's in each direction of the three (3) perpendicular axes. 5. Random Vibration..... The test items shall be installed in a fixture and submitted to 7.8 g's RMS for 5 +/-0.1 minutes, as defined in figure 2 in each of 3 axes. The test fixture with the test items shall then be submitted to 3.2 g's for 12 +/-0.1 minutes as defined in figure 1, in each of the 3 axes [Eds. Note: Figures not provided]. 6. EMI Test..... The test items shall be subjected to all applicable requirements of Mil-STD-461A, if an electromechanical movement is employed. 7. Humidity Testing..... The test items shall be submitted to a humidity test per MIL-STD-810B, Method 507, Procedure I, except minimum temperature shall be 68 deg F and maximum temperature shall be 120 deg F.
These tests were completed by November 1972, and the Deputy Administrator of NASA, George Low, in his letter to the Assistant to the President at the White House, Jonathan C. Rose, stated the results of the spaceflight qualification test. "The Bulova chronograph stopped three times during the humidity test, and stopped again during the acceleration test. Based on our criteria, the Bulova chronograph therefore, has not been qualified for use on the Apollo 17 mission... We will continue to use the Omega watch in the Apollo program. The issue was finalized by a letter from Dale Myers, Associate Administrator for manned Space Flight, to Dr. George Low, the deputy director of NASA, on November 13, 1972. "The special Bulova chronographs purchased by MSC for possible application for Apollo 17 and Skylab, have failed their qualification tests both in humidity and acceleration. I have instructed the Manned Spacecraft Center to take no further action with respect to chronograph testing or other companies watches. 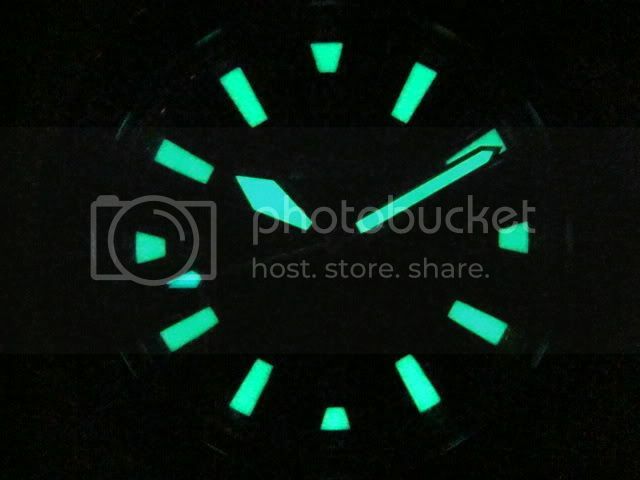 I consider the Bulova watch issue closed." 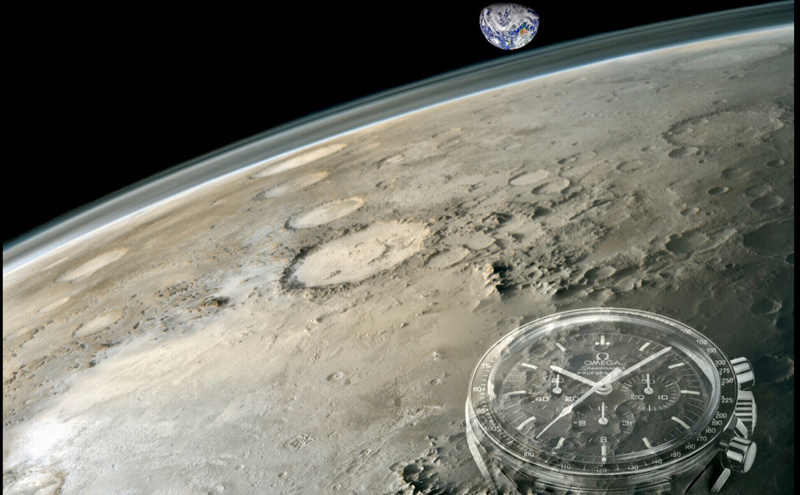 The technical evaluation team determined that, of the chronographs submitted by Bulova for space flight environmental testing, no single watch was exposed to all environmental tests. Also, one watch failed in salt-fog testing and all 3 watches exposed to vacuum testing failed to sho adequate sealing. Accordingly, the Bulova chronographs were determined to be in non-compliance with the specified environmental requirements. Once again, the Omega chronograph was superior to the other chronographs tested. The Speedmaster Professional met all environmental requirements, had the highest technical score, and was offered at the lowest price. In April 1981, STS-1, the first shuttle mission, was launched with Commander John Young wearing the Speedmaster Professional. In 1989, with the Soviet Union's improved attitude toward the West, the Soviet Union selected Omega as the watch supplied to all cosmonauts. Through the years, this watch has become a collector's item to some and a momento to others. Astronaut Buzz Aldrin mentions in his book "Return to Earth" that when donating several items to the Smithsonian Institution, his Omega was one fo the few things that was stolen from his personal effects. It was the only watch "Flight Qualified by NASA for all Manned Space Missions" and was used during Projects Mercury, Gemini, Apollo, Skylab, Apollo-Soyuz, and the Space Shuttle." "A Time Capsule Omega Speedmaster"
Obrigado por compartilhar este precioso conhecimento. Eu acho muito válido. O tópico é realmente "clássico". Eu vou levantar a questão com os outros moderadores. Po não tinha visto este ainda,..muito bom!! Para os apaixonados pela história da conquista do espaço (quem ama o Speedmaster certamente coleciona também a paixão pelo espaço) recomendo enfaticamente uma novidade: o Discovery Channel lançou em 2008, no formato blu-ray, o documentário "When We Left Earth - The NASA Missions", com imagens fantásticas colhidas nos últimos 50 anos pela agência espacial americana. Só de extras são 4 horas, além de 3 discos com imagens inéditas desde o projeto Mercury e entrevistas com Armstrong, Aldrin e outros heróis. A Livraria Cultura comercializa o blu-ray, que é importado. Proponho até uma vaquinha para presentearmos aos mestres do Relógios Mecânicos que têm paciência infinita em responder as perguntas de leigos como eu. E deve chegar este ano ao Brasil (espero) o DVD ou blu-ray ''From the Earth to the Moon", série produzida pela HBO. Re:Speedmaster Moon - 321 ou 861. Qual foi à Lua?